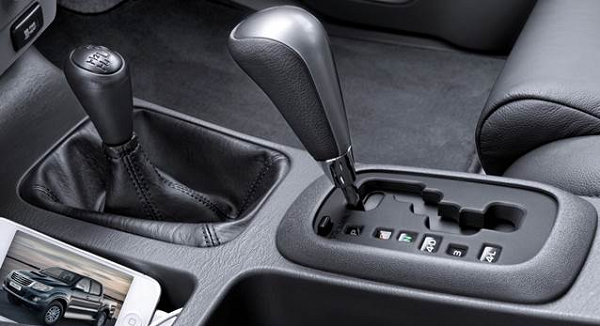 Most people do not consider the purchase or lease of a vehicle with a manual transmission. Also known as a “stick shift,” the manual transmission is becoming increasingly rare. However, there are some advantages to driving a vehicle equipped with a manual transmission. Let’s look at the positives and negatives of manual vs. automatic transmissions to help you select the style that is best for your particular needs and desires. One of the primary benefits of a stick shift is improved fuel economy. Most vehicles equipped with a manual transmission achieve higher mpg than vehicles with an automatic transmission. Furthermore, vehicles equipped with a stick shift tend to cost less than vehicles with an automatic. Another key advantage to owning or leasing a vehicle with a manual transmission is that it is comparably secure. If your vehicle is broken into, the odds of the thief knowing how to drive a stick shift are fairly low. A manual transmission really is an anti-theft device in and of itself. Yet the primary motivation for selecting a vehicle with a stick is feel. Controlling the shifts between gears makes one feel as though he is a race car driver. It is a ton of fun to upshift and downshift while traversing the roads. If you get a vehicle with a manual transmission, you will likely be tempted to get to fourth or fifth gear as quickly as possible and drive at a high rate of speed. It could result in a speeding ticket. If you are nabbed speeding, enroll in defensive driving for an auto insurance discount. You can also enroll in traffic school to have your ticket dismissed or reduced. The main drawback of a stick shift is the learning curve. Most people do not want to invest the time and effort required to learn this style of driving. Furthermore, constantly shifting between gears is somewhat tedious. If you aren’t particularly skilled at operating a stick, you might make a mistake that leads to an accident or a traffic ticket. Those who lack coordination might find it difficult to use both arms and legs in unison on the steering wheel, stick shift, gas and clutch pedals. Another problem with the manual transmission is that few people know how to operate it. If you have one too many drinks, feel sick or are injured, the odds of someone in your group being able to operate a stick shift are low. The beauty of an automatic transmission is that the vehicle shifts through the gears on your behalf. There is no need to divert your attention to a clutch pedal or stick shift. You can keep both hands on the steering wheel at all times and consequently, reduce the odds of an accident. Also, consider a situation in which you can’t drive your vehicle due to an injury or sickness. If you have a friend or family member with you, this individual can drive your vehicle on your behalf. Another advantage of the automatic transmission is that it makes stop-and-go traffic tolerable. The same cannot be said of a vehicle with a manual transmission that requires a constant pressing of the clutch and shifting between gears to go from a complete stop to forward movement repeatedly during heavy traffic. Automatic transmissions cost more than the manual variety. Automatic transmissions also provide less miles per gallon than manuals as they use a torque converter to alternate between gears. Automatic transmissions typically require more maintenance than manuals due to their comparably complex engineering. Thieves are much more likely to steal a vehicle with an automatic transmission as it does not require any sort of specialized knowledge or skill to operate.